Have you ever wished that you don’t have to look for the cement buyer separately and then the sand seller (probably knowing the right type of sand to use is a headache on its own) before you can have concrete to use in your house? If this has been your wish, then your wish has come true, through what is known as ready mix concrete. 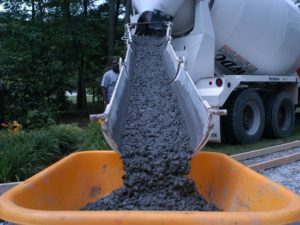 Ready mix concrete does not imply the delivery of concrete that you can begin to use directly to your house. It is however something that is very close to that. It implies a concrete that already has all the components. All that is required of you is therefore to add water to your taste and mix and then you are ready to use. In most cases though, it might be difficult to make a request to the companies that deal in this type of concrete, except you want a significant quantity. Different companies have different minimum quantities you must order before they are able to deliver to you. You however don’t have to buy your cement separately and look for sand separately before you begin to wonder the right quantity to mix. The concrete are made from the best cement and sand. All you just have to worry about is putting the right quantity of water so that it gets wet but not runny. Getting the right materials such as the best cement and sand to use for construction can be a big issue. With ready mix concrete however, you don’t have to worry about that as you already have the cement and sand mixed for you in the right quantity. This saves you the stress and time of going to the market to look for the best price for 2 or more different components for making the concrete, as now all you have to worry about is to get the company that can give you the right quality concrete at the right price. You would also be at advantage if you do not know the right measurement of cement, sand and other additives that is required to make your concrete. You will just have to be careful about the quantity of water you are adding to the concrete, so that you get a good concrete that you can use for your work. This type of concrete does not also create as much mess as is created when you are mixing the cement, sand and other additives yourself. Using this concrete type saves time, implying that workers can achieve more work in a day. This would lead to a reduction in the money that would be paid to the worker at the end of the day. Furthermore, the competition among companies that sell this type of cement is very high, making the price very affordable. For these reasons, using this type of concrete will ultimately lead to a significant reduction in construction costs. Candice Hubbard discusses what ready mix concrete are, their benefits, especially when made with best cement and how they will marginally reduce downhill construction prices. This entry was posted in Real Estate Building and tagged Best Cement, Cement Mix, Concrete Mix, Concrete Prices, Concrete Ready Mix, Concrete Type, Cost of Concrete, Pre Mix Concrete, Ready Mix Cement, Ready Mix Concrete, Ready Mix Concrete Company, Ready Mix Concrete Price, Ready Mixed Concrete Prices, Ready Mmixed Concrete, redi mix concrete, type of cement, type of concrete, what is ready mix concrete. Bookmark the permalink.